With its unique history and culture, the German capital has become a symbol for both European life and international outlook – and is of course famous for its diverse economy. 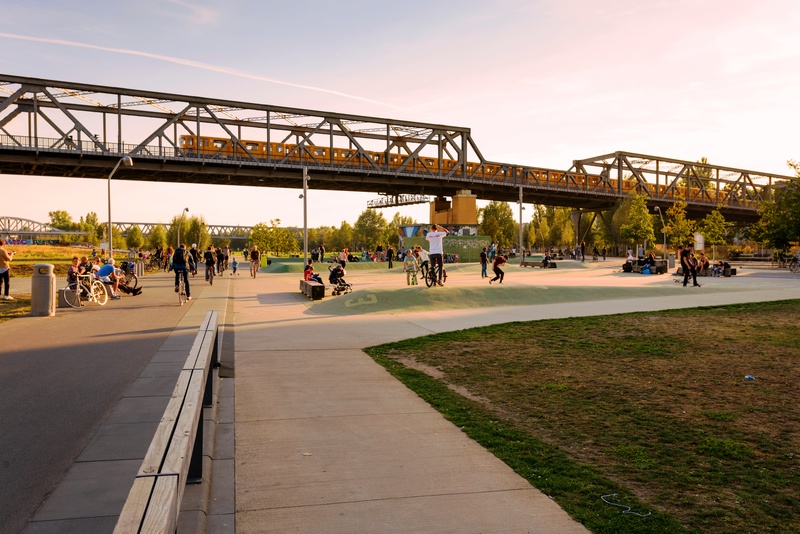 With its 3.5 million inhabitants and around 40,000 more coming every year, Berlin is a fast-growing city which offers a high quality of life at a relatively low cost of living compared to other European capitals. Berlin is a multicultural city with a representation of more than 180 different nationalities. Cultural diversity shapes the character of the city, imbuing it with cultural flair and variety. Many global players also have a subsidiary in Berlin, e.g. Amazon, Bain, Bombardier Transportation, EY, Google, PwC, Siemens, and Total S.A.
Berlin is characterised by a rich multifaceted economic structure. It ranges from industrial companies with a long tradition and strong medium-sized companies to a very dynamic services sector as well as innovative IT and high-tech companies. Today, Berlin is especially known for its vibrant start-up culture and for its creative industry; it has become an important media centre. People value Berlin for its pulsating scene and night life as well as for its spacious parks and bohemian quarters. The city offers numerous “beer gardens“, a wide variety of restaurants, coffee shops, markets, green areas, lakes and cultural events. As a state-recognized university, ESCP Europe counts among the most prestigious and leading business schools in Germany. ESCP Europe regularly occupy top spots in both national and international rankings (#1 European business school in Germany, #1 Master in Management, #1 Executive MBA and #1 in Custom Executive Education in Germany). In Berlin, ESCP Europe has particular expertise in the areas of Entrepreneurship, Sustainability Management, the Digital Transformation as well as International Management. In addition to our well-known multinational Bachelor, Master and MBA / Executive MBA programmes, we also offer Executive Education in these subjects. Companies such as Accenture, Bain, Bayer, Coca-Cola and P&G closely collaborate with us and stay in continuous contact due to the quality of our faculty, their research as well as the top quality of our students and alumni. Get to know the most European business school in Germany yourself with its unique intercultural spirit at ESCP Europe Berlin. Please contact us or simply pay us a visit. We are looking forward to meeting you. Warum brauchen wir eine Europäische Hochschule? Fünf Thesen von Prof. Dr. Andreas Kaplan. Bachelor in Management Class of 2018: First Graduation Ceremony in Berlin! ESCP Europe Berlin's campus building is comprised of modern lecture halls, a library and seminar rooms. For students who want to take a break from their studies, they can have a bite in the campus' lounge and recreational space, rest on green campus grounds or even take a stroll around the Charlottenburg palace's vast gardens located right behind the campus. Apart from daily classes, the School's flourishing student life fulfills students in their experience out of class. At Berlin's bustling campus, students can find themselves engaging in projects with the School's varied student societies, joining the Tribunes for a conference/round-table debate on "shaping the Europe of the future" or presenting their business plans at a competition hosted by the Blue Factory (ESCP Europe's own business incubator). But "all work and no play" is not the nameof the game at the Berlin campus! At day time, students can visit the student house on campus for a cozy get-together with fellow students over a cup of coffee. But as night falls the building next door, "Dr. Faust" (a student association founded in 2017), regularly comes alive as a pulsating nightclub. For any concerns or inquiries regarding our student societies, you can contact the Berlin campus Coordinator of Student Life Alina Iakovleva at aiakovleva@escpeurope.eu. Linking Talent, ESCP Europe's career accelerator, provides contacts to companies, hosts career events and workshops, and offers valuable expertise and guidance when it comes to career planning. Moreover, our strong and dynamic alumni network offers access to a variety of opportunities that often lead students to rewarding careers. Linking Talent also leads a select cooperative network of national and international companies. Organizers take advantage of a variety of synergies and develop collaborative content that ranges from employer branding activities to direct support of recruiting processes or the joint development of seminars for management. In the last ten years, Berlin - the Silicon Spreewald - has become an Eldorado for entrepreneurs due to its relatively low cost of living and simple visa application process. The city’s legendary openness gives start-ups in Berlin access to talent from all over the world. These days, more and more ESCP Europe students are launching their own startups - and as alumni are staying to help them grow! With our Entrepreneurship and Innovation Chair, the Jean-Baptiste Say Institute for Entrepreneurship, the Executive Master in Digital Innovation and Entrepreneurial Leadership, our MSc in Entrepreneurship and Sustainable Innovation, our Maker Room, as well as our Blue Factory Incubator, ESCP Europe Berlin has many of the tools you need to make your product or service idea real. To meet the growing demand for green management skills, ESCP Europe Berlin offers one of the world’s first business degrees in sustainability management with its MSc in International Sustainability Management, its MSc in Entrepreneurship and Sustainable Innovation, our Research Centre in Sustainable Business, and a Chair in Environment and Economics as well as one in Corporate Sustainability (Academic Chairs & Research). One of ESCP Berlin’s annual highlights is a conference on sustainability and business. This two-day event takes part on campus as well as in the Allianz Forum right next to the Brandenburg Gate, which brings together students, alumni companies, NGOs and political institutions to discuss how the United Nations Sustainable Development Goals can be reached more quickly. Digitally literate business executives specialized in entrepreneurship and technology management are in high demand. We train them. With more than 500 high tech start-ups launched every year in Berlin, business executives specialized in entrepreneurship and technology management are in high demand. Fortunately, our MSc in Strategy and Digital Business, our MSc in Big Data and Business Analytics, our SALES 4.0 - MSc in International Sales Management, as well as our Executive Master in Digital Innovation and Entrepreneurial Leadership, can prepare young digital leaders to succeed in this dynamic world. We have teamed up with Bain & Company which has opened its European Digital Discovery Hub at the Potsdamer Platz, right in the heart of Berlin. Our partnership with Bain gives ESCP Europe students an ideal combination of formal training and practical experience in digital business. With its 15 academic chairs and more than 5 research centres ESCP Europe Berlin counts among the most prestigious and leading business schools in Germany. Research covers fields such as classical business functions: finance, marketing, and strategy but also entrepreneurship, digitalisation and sustainability - ESCP Europe's three key academic areas. A particular interest is put on intercultural, European and international research topics. ESCP Europe strongly encourages cross-campus research where teams of professors in different locations work together on research topics. Faculty’s research is also powered by our PhD students. 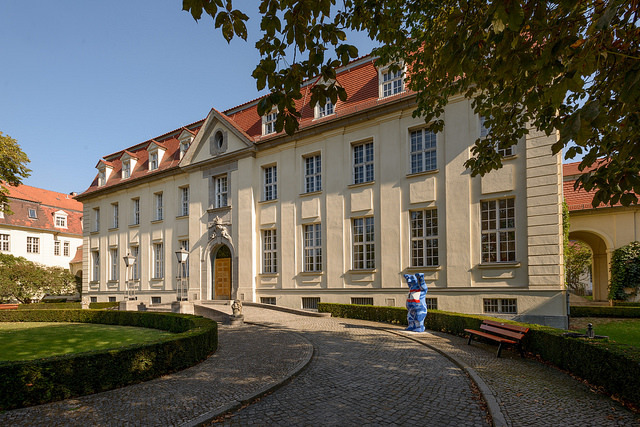 The library of ESCP Europe Berlin provides literature and access to databases related to business and economics to support learning, teaching and research activities. It offers a collection of print and electronic media and is a place for study. The library staff is happy to help with special enquiries on literature for students' and researchers’ needs. Biking is the most common mode of transport used by Berliners. As the city is almost completly flat Berlin is an ideal place, streets are wide, appartments and offices have place for storing your bike. Finding one to rent or share is very easy. Do not hesitate. Visit Berlin is Berlin’s official promotional organisation for tourism and conventions.